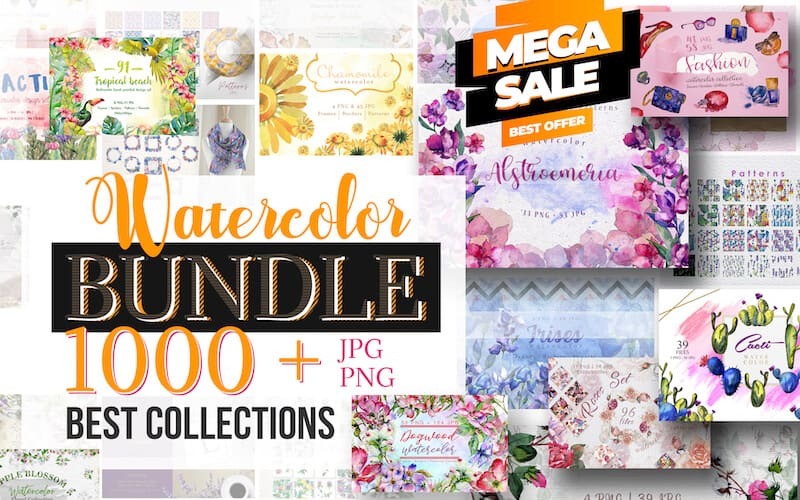 PREMIUM BUNDLE – More than 1000 watercolor elements! 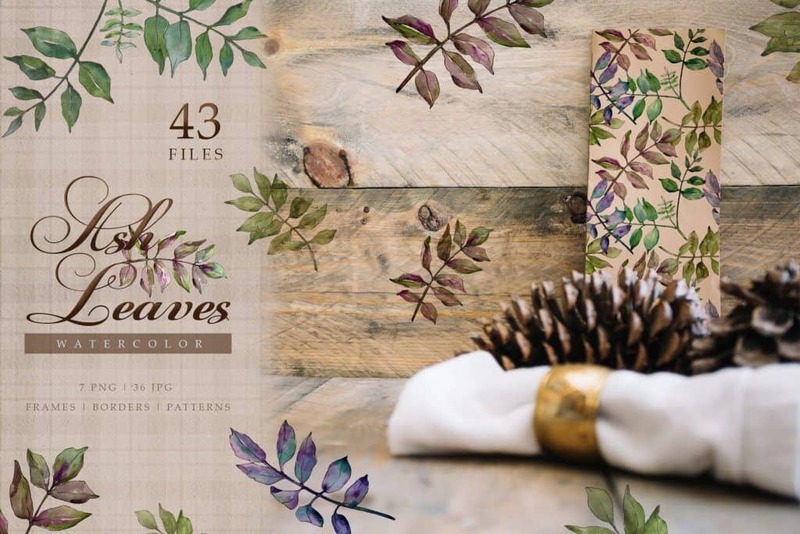 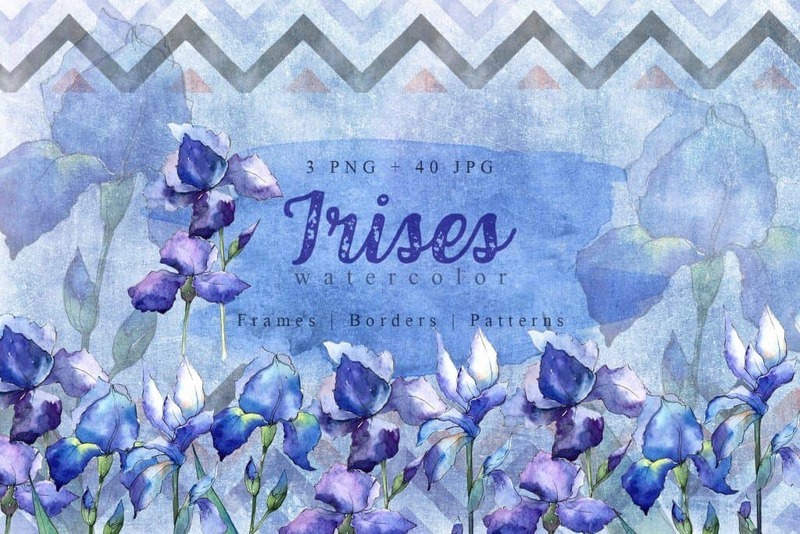 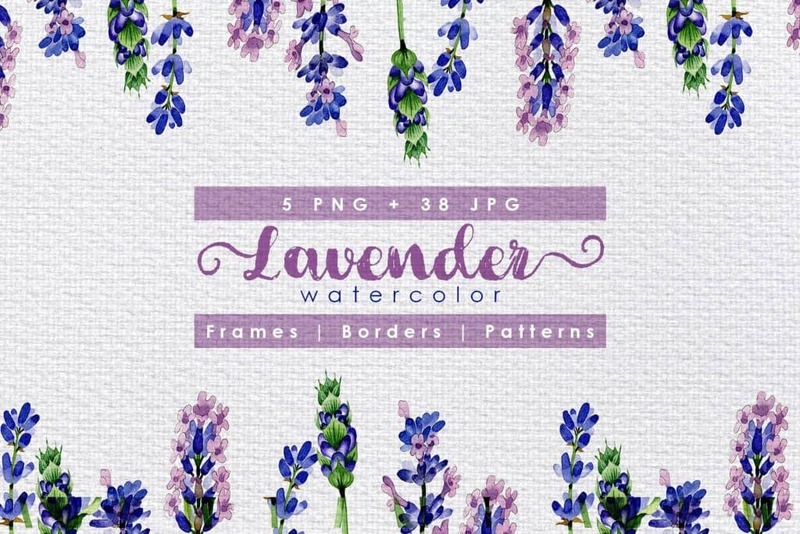 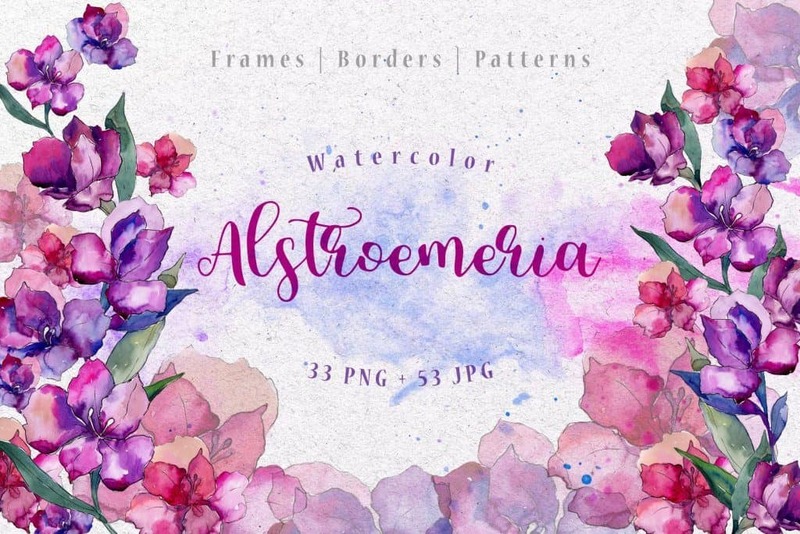 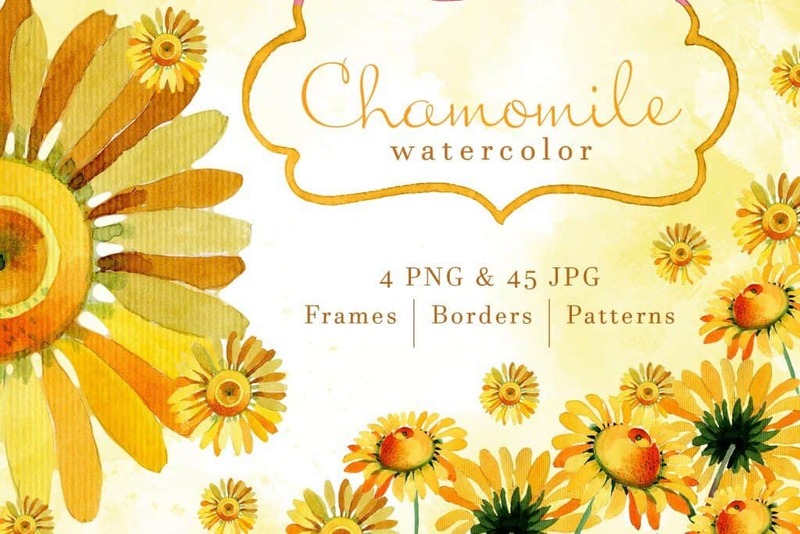 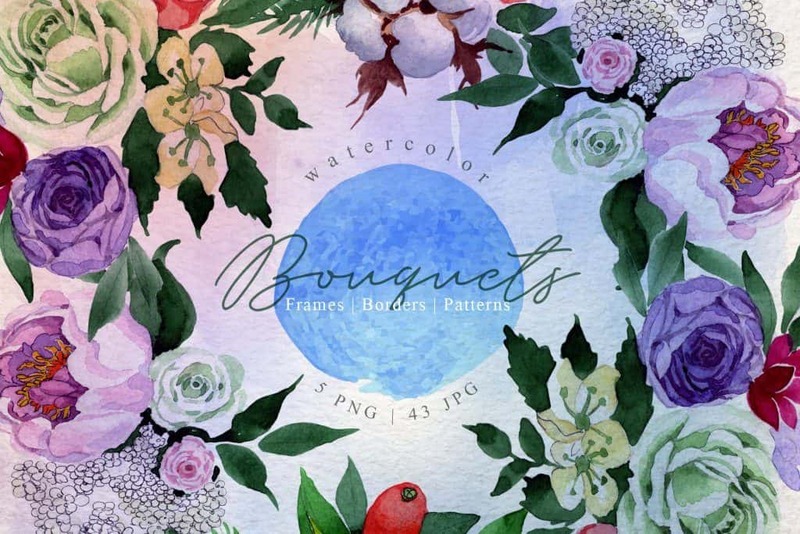 We are proud to bring you a fantastic bundle of over 1000 Watercolor Elements. 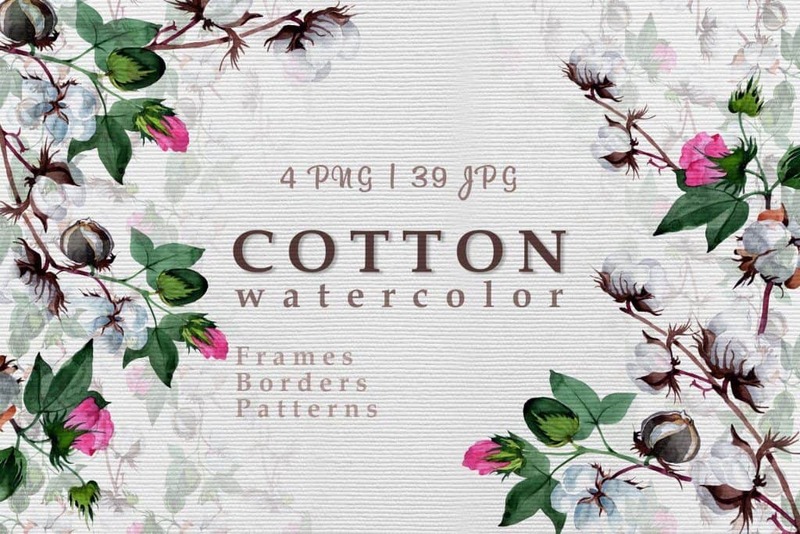 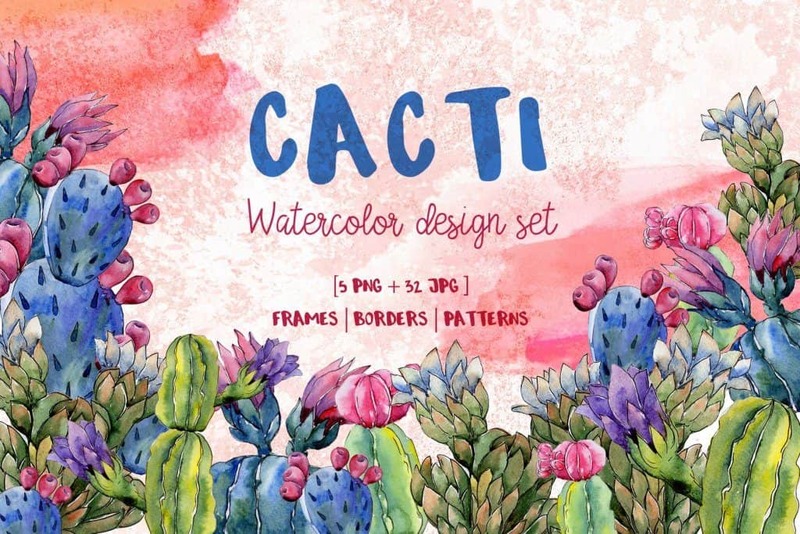 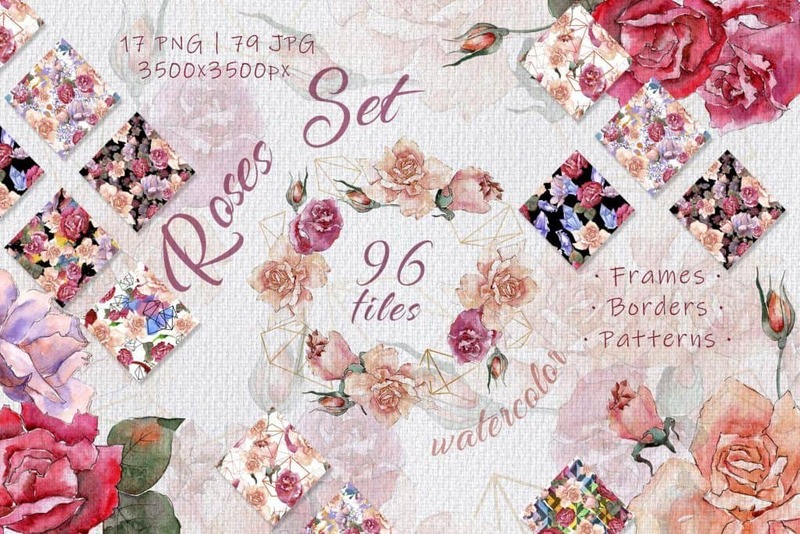 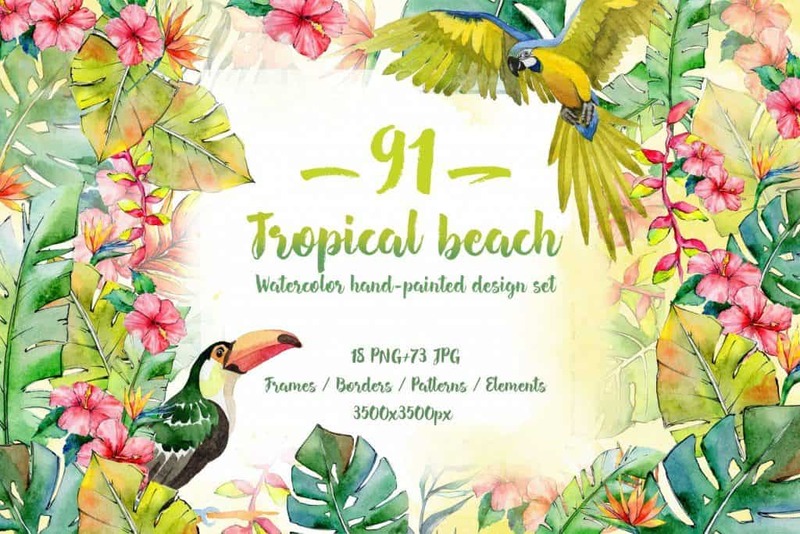 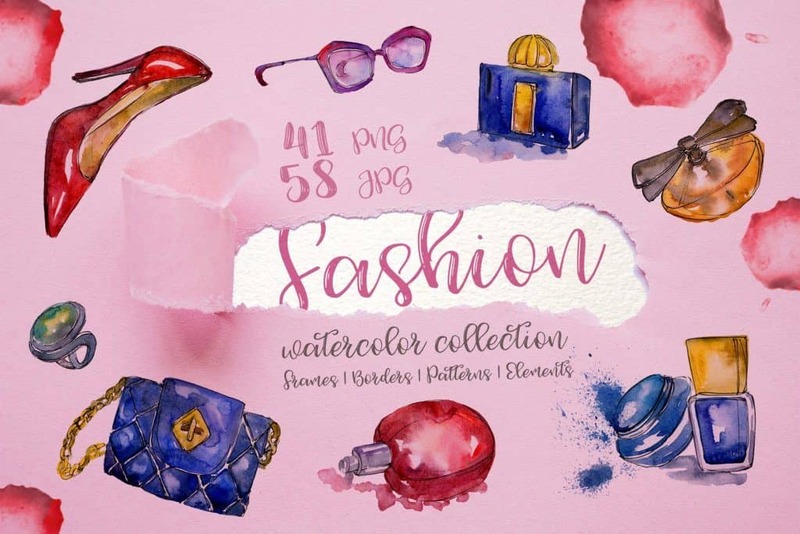 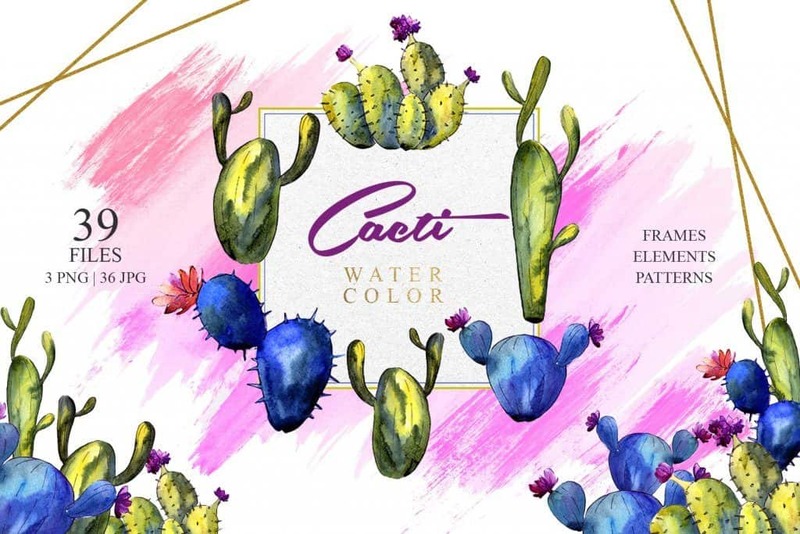 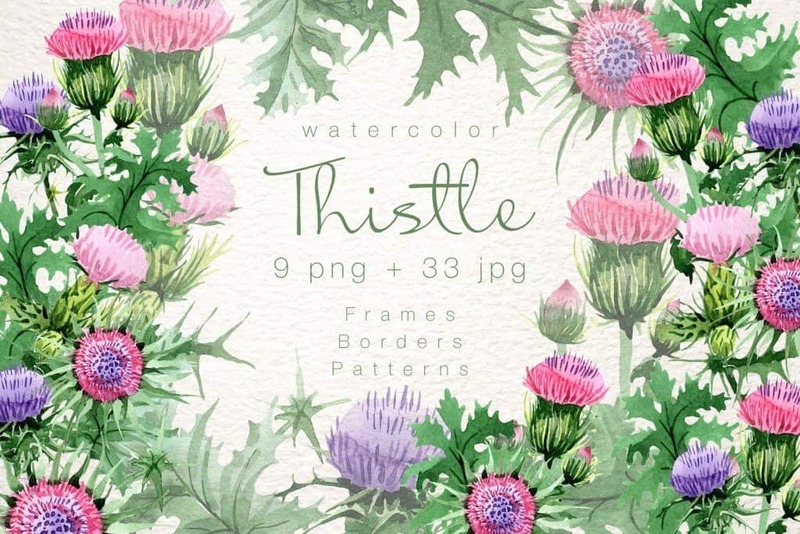 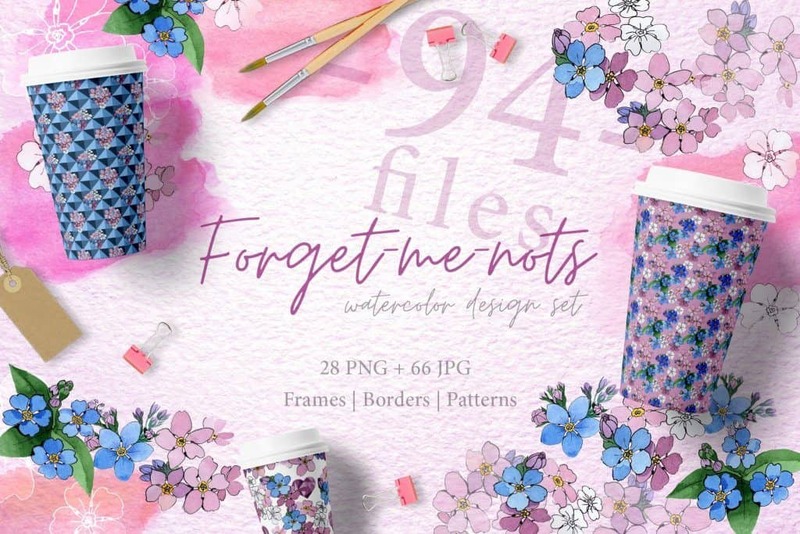 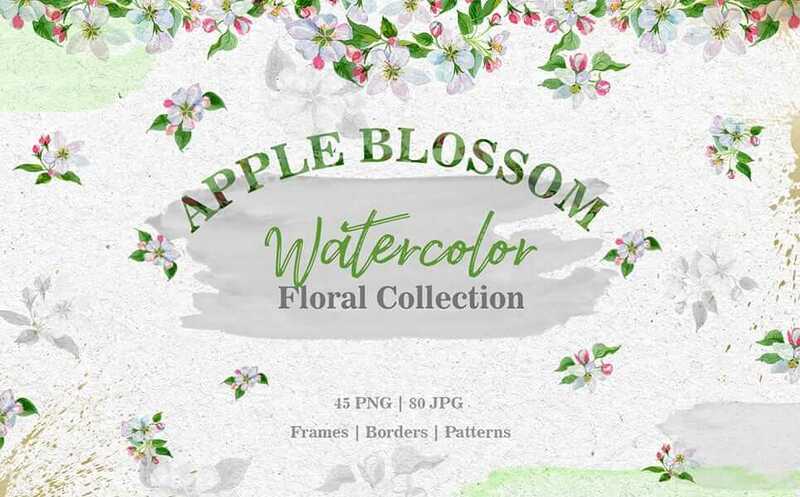 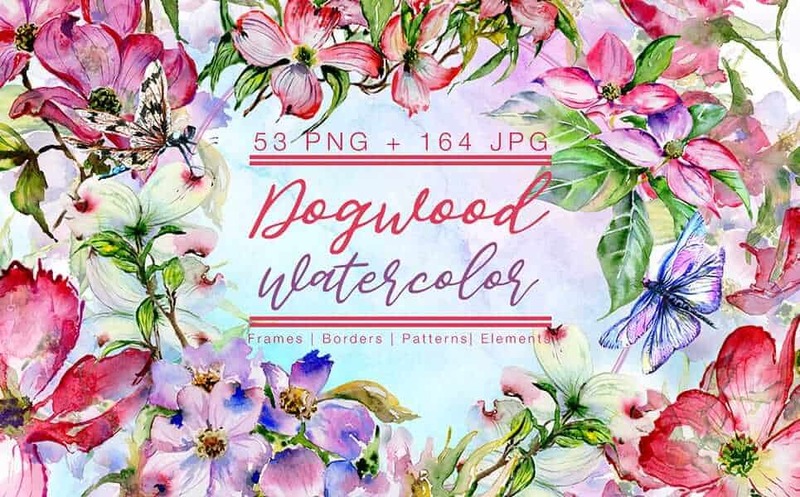 This bundle contains a beautiful collection of 16 watercolor bundles and is loaded with some of the best watercolor effects such as Cool Thistle, Apple Blossom, Tropical Beach, Pink and Beige Roses, Fashion Glamour Illustration, and much, much more! 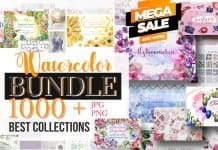 Another great thing besides it’s quality and impressive size is that this bundle comes with an extended commercial licence so that you can use this bundle for unlimited personal and commercial projects.